February 2019 Rant From The Heart: Escape your illusionary slavery! You think that illusions are something tricksters do to fool you. But you are unaware that you slave to illusions every single day. The craziest thing is that you are the trickster and you don’t know it. You dress a certain way to impress the world, you spend so much time thinking about what to wear, what would others think. You plan your arguments, you plan your outfits so you would not be seen wearing the same every day, you act as if you are the happiest person. You spend so much energy and time because you think others care about you. You think others would notice if you are dressed differently. What you don’t understand is that most of those others are also obsessed with the what would others say problem. The problem itself is an illusion. Nobody thinks about you because everybody thinks about themselves. By trying to get approval from everyone you are always in lack of it. It’s because you give away the only importance that matters, your own approval, the approval you really need, the one from yourself. And this is just one of the many illusions you slave to. You slave to countless illusions and you waste so much time and energy to them. You try to control everything. You think the shirt you wear or the way you walk to work has something to do with you having a good day. You try to have a complete control over everything and you end up being a slave. Isn’t it funny? It’s because by trying to control everything else you give away the only control you really have, over yourself. You give it away to an illusion. You try to be secure, to be safe, to be sure. And when things you assured slightly change you get frustrated. You can’t accept the uncertain nature of the world, that it’s always changing and that security and safety are just constructs of your mind. And you work and work to make sure you are finally safe, that you finally have enough and there is security. Just to realize you haven’t stopped the fact that everything is always changing. So you work even more, and more, and more. You keep being unsure, unsafe, insecure by constantly trying to achieve those things. Don’t you see the fool’s game you play? You are trying to grab infinity through finite things. You try to acquire something that you already have. You give away the security you already have by trying to grab it as if you do not already have it. You give it away to the illusion of security. Can’t you see? You are free! You no longer have to serve or slave to your illusions because you are aware of them. But if you do not escape them you will forget. And you will continue wasting time and energy to these illusions. You will trade the real things for the illusions your mind is obsessed with. Stop playing tricks on yourself. And it’s the hardest and the easiest prison to escape at the same time, you know why? Because it’s your illusion. You are the trickster but you have forgotten it’s a trick you make, an illusion you create, you are as free from this slavery as you make yourself be. Stop making illusions to slave to! Stop looking for approval and approve of yourself. That’s the only way you will discover real freedom. Stop trying to control everything and grab the only real control you already have, the one of yourself. That’s how you let the magic of life in your reality. Stop trying to achieve security and embrace the uncertain nature of the world. That’s how you make your life a fun adventure. You can slave away all you want, but you will not be able to experience the real beauty if you don’t stop obsessing over illusions. Stop trusting illusions and trust yourself! 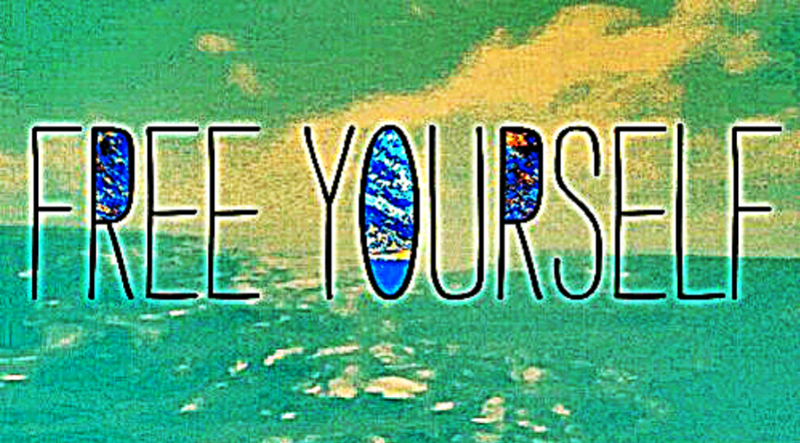 Be yourself, free yourself, let something beautiful happen without your control, embark on an adventure, have fun. Escape from your illusionary prison! You don’t need to be approved by anyone you are already everything best you know you are. Stop trying to control the wave and learn to surf it.